The Canadian Owners and Pilots’ Association (COPA) and Air Line Pilots’ Association (ALPA)’s Aviation Career + Scholarship Guide outlines over 100 scholarships currently available for training in the field of aviation. These awards are organized by category including scholarships for helicopter training, ground operations and maintenance, and awards for women. For more details, consult the full scholarship guide as well as the links attached to each scholarship. If you are aware of awards currently available that are not listed, please do not hesitate to contact us so that we may add them to our database. $5,000 goes to a member between the ages of 16 and 19 who must demonstrate commitment to finishing flight training. Must provide transcript of marks. Must be working toward fixed- or rotary-wing PPL. Must have completed a minimum of 10 hours of flight training. 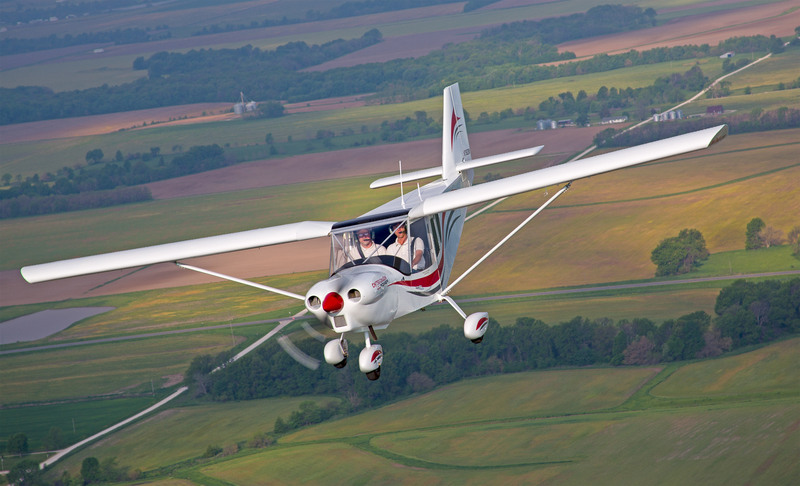 Must include a letter of recommendation from a PCTIA-accredited flight school. Must demonstrate need/ reasoning for financial assistance. $1,000 goes to a member actively engaged in commercial pilot training. Must demonstrate commitment to continue with commercial pilot training to obtain a licence in fixed or rotary-wing aircraft. $3,000 goes to a member actively engaged in commercial pilot training. Must demonstrate commitment to continue with commercial pilot training to obtain a licence in fixed- or rotary-wing aircraft. $2,000 goes to a member actively engaged in commercial pilot training. Must demonstrate commitment to continue with commercial pilot training to obtain a licence in fixed or rotary-wing aircraft. $30,000 goes to a member actively engaged in commercial pilot training. A minimum of 150 hours must be completed or the applicant must hold a commercial pilot licence (CPL). Must demonstrate commitment to pursuing a career as a commercial float plane pilot, show commitment to training, completing the program, and working as a pilot in the float industry. $1,000 goes to a member actively engaged in private pilot training or who has received a PPL in the current year. 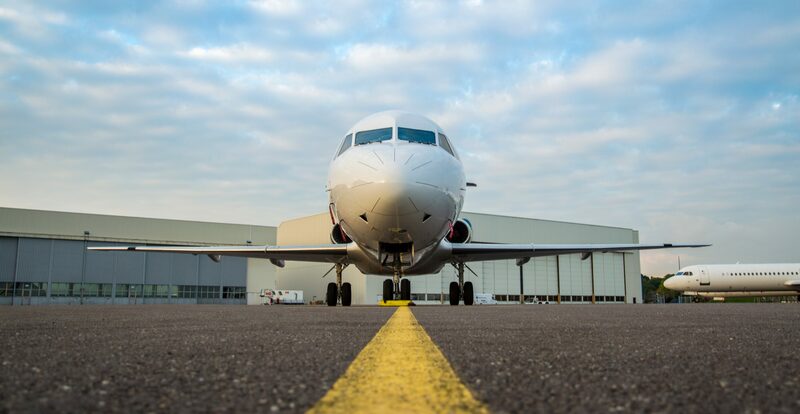 Must demonstrate commitment towards commercial pilot training or involvement in an industry training organization such as aviation maintenance, airport operations, or airline operations. The $1,000 scholarship is open only to female members and applicants must be currently registered at a B.C. or provincially-recognized university, college, training institution, or a PCTIA accredited or registered flight school. Must demonstrate commitment to complete training in her chosen aviation field. $1,000 goes to a member who is obtaining a fixed- or rotary-wing Instructor Rating. Must show commitment to training and completing program. The $3,500 Scholarship is open to any member but the application must be supported by a BCAC member. Must show commitment to training and completing the program. Flight Training — Advanced YBC BCAC Administrator info@bcaviationcouncil.org or bcaviationcouncil.org. The $2,000 Scholarship is open to members and their application must be supported by a BCAC member. Must be currently enrolled in an aviation or aerospace program at a post-secondary institution in BC. Must have an academic grade average of 75 percent or higher. $1,000 goes to an applicant who has completed at least 75 percent of training. Application must be supported by a BCAC member. Created to honour one of Canada’s foremost aviators, the scholarship has helped many Canadian pilots get their start. The Neil Armstrong Scholarship consists of two awards, $10,000 for ab-initio and $5,000 for advanced flight training. 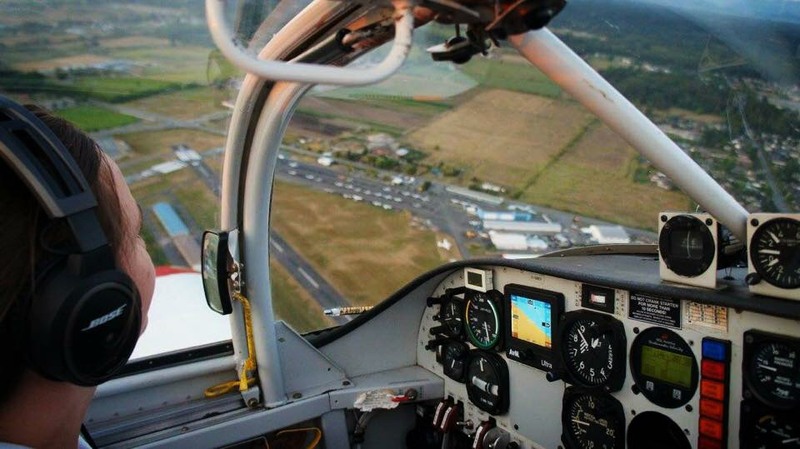 Training must be conducted at a Canadian Flight Training Unit approved by COPA. Recipients must agree to maintain a current COPA membership for the period of their training. 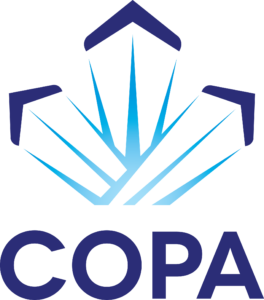 To be eligible to apply for the advanced award, the applicant must be a current member of COPA. Tuition costs are eligible for specific programs offered by secondary or postsecondary schools, including colleges and universities that provide flight training. Applications are due no later than March 1 of each year. For complete details and to submit an application, visit copanational.org/. Jazz Aviation Pathway Award for Professionalism. Awarded to a full-time student for outstanding contributions to safety, leadership and professionalism. The Award consists of a $3000 scholarship and an opportunity to participate in the Jazz Aviation Pathways Program (Jazz APP) selection process. The award recipient will be selected by the program chair or designate in consultation with Jazz Aviation to ensure the criteria as outlined are respected. Details here. The Jazz Aviation Pathway Award for Professionalism and Diversity. Awarded to a full-time student; who has self-identified as Aboriginal, a person with a disability, a visible minority or female, for outstanding contributions to safety, leadership and professionalism. The Award consists of a $3000 scholarship and an opportunity to participate in the Jazz Aviation Pathways Program (Jazz APP) selection process. The award recipient will be selected by the program chair or designate in consultation with Jazz Aviation to ensure the criteria as outlined are respected. Details here. The LIFT Scholarship was created to assist student pilots. High school students applying to either the Conestoga College Aviation General Arts & Science or to one of the University of Waterloo Aviation programs can apply for entrance scholarships through the respective schools. Students currently in either of these post-secondary programs can browse through the many scholarship and bursary opportunities on the school’s website. Scholarship award of $1,000. Application deadline Nov. 1. Must have PPL and be working toward CPL Flight Training. Visit saskaviationcouncil.ca for more information. $2,400 goes to a well-rounded individual with a demonstrated and keen interest in aviation. Candidate must be working towards but not yet attained RPP or PPL. Must be aged 14-21. Application deadline Oct. Contact copaexeter.ca/ for more details. Flying Musicians Association Solo Program. For a high school junior or senior music student in good standing. Student must be nominated by his/her music director. Must be at least 16 years old. Proof of citizenship in country of training. Able to obtain a Cat 3 Aviation medical or equivalent. Parental approval if under age 18. Apply here. $500 and a one-year membership in the Vernon Flying Club. Open to any student completing a Flight Instruction program in the Vernon, BC area. Application deadline Jan. 15. $199.99 for two members to obtain Pro Plus Plan one-year subscriptions, including a 30-minute one-on-one training session at HAI HELI-EXPO in Las Vegas next year. Contact ForeFlight for details. The award of $1,000 goes to a student in at least Year 2 of SIIT or established in an apprenticeship path of training. Contact saskaviationcouncil.ca. The $2,000 scholarship goes to a BCAC member currently enrolled in an aviation or aerospace program at a post-secondary institution in B.C. Must have an academic grade average of 75 percent or higher. Application must be supported by a BCACB member. Application is due by May 31 to BCAC Administrator at info@bcaviationcouncil.org. More information at bcaviationcouncil.org. $1,000 goes to a BCAC member who has completed at least 75 percent of their area of training. Application must be supported by a BCAC member. Application is due by May 31 to BCAC Administrator at info@bcaviationcouncil.org. More information at bcaviationcouncil.org. The award of $1,000 is open to female candidates only. Must be a member of BCAC. Application must be supported by a BCAC or COPA member in good standing. Must be currently registered at a BC or provincially recognized university, college, training institution, or a PCTIA accredited or registered flight school. Must demonstrate commitment to complete training in her chosen aviation field. Deadline May 31. More information available from BCAC Administrator at info@bcaviationcouncil.org and at bcaviationcouncil.org. Two awards of $500 are open to any student enrolled in the AME-M training program at the Okanagan College Vernon Campus. Deadline Jan. 15. More information at Vernon Flying Club: flyingclubvernon@gmail.com, vernonflyingclub.org. Canadian Business Aviation Association Air Service Hawaii, Air Sprint, Flight Safety, Jet Aviation, Million Air, NBAA, SheltAir, Signature, Skyplan, WorldFuel up to $10,000. Application deadline May 1. Must be Canadian citizen or permanent resident and employed by a CBAA member company or registered student at an educational training member of CBAA. More information aoconnor@cbaa.ca and cbaa-acaa.ca. Two awards of $2,000. Deadline May 31. Must be a BCAC member. Application must be supported by a BCAC member. Must have completed at least one year (or equivalent) at an educational institution in the discipline and have at least one more year to complete the training course. More information at BCAC Administrator, info@bcaviationcouncil.org or bcaviationcouncil.org. Open to females only. Must be a member of the Manitoba 99s and hold PPL or higher. The scholarships award familiarization flights on a wide variety of planes, simulators and workshops, including: float plane, ski plane, plane with retractable gear and a variable pitch prop, plane equipped with glass cockpit (G1000), tail dragger, homebuilt, C150, C172, turbine engine, IFR, night flying, ATC, aircraft maintenance, to name just a few. This list is incomplete. Applicants are encouraged to identify the type of flying in which they would like training. The Broadening Horizons Scholarship is open to members of the Manitoba Chapter of the 99’s who hold a Private Pilot License or higher. Scholarship awards are arranged directly with the aircraft/flight sim/workshop owner/ presenter and are to be used within the appropriate season of the current application year. Details here. Open to females only. Must be a member of the Manitoba 99s and hold PPL or higher. Apply through manitoba99s.wordpress.com. The C-FLUG (Club Plane) Scholarship is for 10 or 20 hours of flight time on the club plane, C150 CFLUG, for the purpose of building hours towards an advanced rating. This scholarship is open to female residents of Manitoba who are members of the Manitoba Chapter of the 99’s, and hold a Private Pilot License or higher. Scholarship payments will be made directly to the recipient’s CFLUG account, and are to be used by 1 July of the same year it is awarded. The scholarship committee will be assessing all applications received by email or postmarked prior to Jan. 21 each year. Final selection will be based on: current on type, career goals, experience and involvement in aviation. The C-FLUG (Club Plane) Scholarship award(s) will be presented each spring at the Manitoba Aviation Council convention. Award of $1,500 is open to females only. Must be a member of the Manitoba 99s and hold PPL or higher. Apply through manitoba99s.wordpress.com. The flight training scholarship is typically $1500 and is to be used for advanced flight training. Solo time or time building hours do not qualify. The scholarship is open to female residents of Manitoba or a member of the Manitoba Chapter of the 99’s, and hold a Private Pilot License or higher. Scholarship payments will be made to the flight school or flying club directly and is to be used within a 12 month period. Complete the application form, and include a letter of intent, a flight instructor’s recommendation and verification of flight record. Open to women working on flight training or building hours who would benefit by having accommodations adjacent to an airport. The due date is Jan. 21 each year, however, applications throughout the year are accepted as well. Details here. Amelia Earhart Memorial Scholarship for Women Pilots/Canadian 99s. Application deadline Dec. 20. Must be a current pilot with the appropriate medical certificate and must be approaching the flight time requirement for the rating or certificate if any. Fully paid scholarship to complete an additional pilot certificate or rating or pilot training course. Examples: Multiengine rating, commercial certificate King Air competency or qualification training or Boeing 737 type rating. Requirements: Must be a current pilot with the appropriate medical certificate and must be approaching the flight time requirement for the rating or certificate if any. Jet Type Rating Requirements: Must have a current First Class medical certificate or non-U.S. equivalent, and at least 100 hours multi-engine flight time or combined multi-engine and turbine time. Details here. Application deadline Dec. 20. Open to any licensed pilot member of the 99s. Fully paid scholarship to provide emergency manoeuvre and spin training in addition to an introduction to aerobatics. In memory of 99 Vicki Cruse, this scholarship is available to any licensed pilot member of The 99s without regard to existing ratings, financial need or length of membership. Details here. West Canada 99s Scholarship of $1,500. Application deadline July 31. Open to females only. Must hold a minimum of a valid PPL at time of application. Open to residents of BC, AB, SK, MB, YT, NWT. Details here. Fly Now Award/Ninety Nines/Amelia Earhart Memorial Scholarship Foundation of up to $6000. Application deadlines of Mar 15 and Sept 15 for two annual awards. Must be an official student pilot member of the 99s at least one month prior to the submission deadline. Must have a current medical certificate. The FLY NOW Award is a progressive award given to Student Pilot Members with a need for financial assistance to become licensed pilots. The award provides up to $6000 toward completion of the Recreational Pilot, Sport Pilot, Private Pilot certificate, or non-U.S. equivalent in any aircraft category. Applicant must be an official student pilot member of The 99s at least one month prior to the submission deadline. Must have a current medical certificate, if it is required for the pilot certificate sought. Apply through flynow@ninety-nines.org or https://www.ninety-nines.org/fly-now.htm. $8,000.00 for basic rotary wing training and is sponsored by the Whirly Girls and combines the Phelan International and Doris Mullen Flight Training Scholarships. This scholarship is given in memory of founder Jean Phelan and her husband Jim, along with the memory of Doris Mullen who lost her life in a fixed-wing accident in 1968. $8,000 is for a licenced female pilot who does not currently have a helicopter rating and provides funds to be applied toward earning her add-on helicopter rating. Must have intent to work in the helicopter industry. $6,500 is for helicopter pilots with at least 250 rotorcraft hours. Provided in memory of Keiko Minakata, WG #1339. 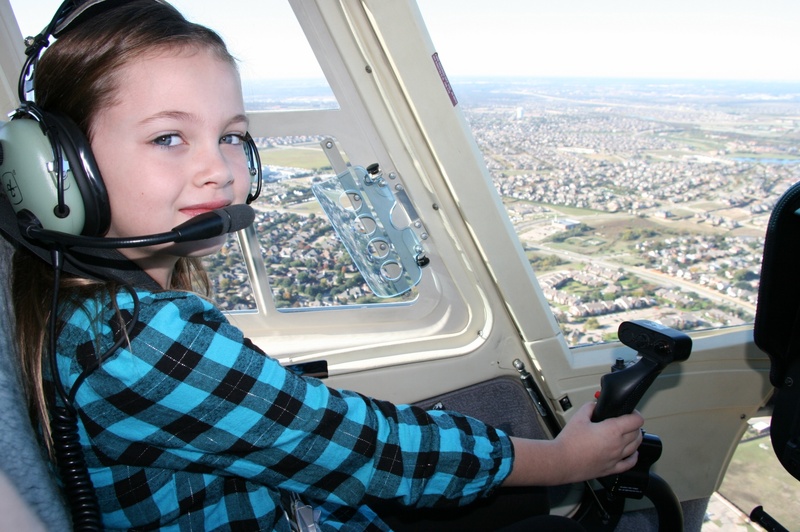 The scholarship gives a deserving Whirly-Girl the skills to cope with turbulence, rugged terrain, and landing zone selection in mountainous and canyon areas, with special emphasis placed on decision making. It also provides the skill needed to fly all sorts of private and commercial helicopter missions that require off-airport landings anywhere in the country, regardless of altitude or terrain. It includes a half day extensive ground school with five hours of flight time. Training will be at Western Helicopters Inc. at the Riverside Municipal Airport, California, USA. The Scholarship of $14,000 is sponsored by Airbus and will give a Whirly-Girl the opportunity to attend an AS350 Turbine Transition Course at the Airbus Factory School in Grand Prairie, Texas, USA. This is a field course that provides both ground school and flight training for the AS350. $220 is awarded to a Whirly-Girl who wishes to increase her knowledge in how to conduct safe operations in the low-level environment. This course, provided by Antipodean Aviation and Embry-Riddle Aeronautical University is a self-guided online course. The course is relevant to all operating areas around the world, but discusses specifically FAA, CASA, and EASA/JAA regulatory requirements in relation to low-level flight operations. $950 is awarded to a Whirly-Girl who is seeking to achieve her Commercial Pilot Helicopter certificate This 15-week advanced online instructor-facilitated course is offered by Embry-Riddle Aeronautical University and will provide the necessary information to prepare a Whirly-Girl for the FAA Commercial Pilot — Helicopter Knowledge Exam. $6,000 is awarded to a career-minded Whirly-Girl who needs a vertical reference/external load endorsement for a flight position. This course will be awarded to a Whirly-Girl who has 300 hours of total flight time, and she need not be turbine qualified. Training can be completed at any flight school in the world that provides longline training. $10,000.00 is awarded to a Whirly-Girl who possesses at least a Private Pilot Helicopter certificate and has landing currency in helicopters. This training program includes initial type training, recurrent training, and inadvertent IMC training using the world’s first Bell 206 FAA Level 7 qualified Flight Training Device. This five day course consists of academic training and 6 hours in the FTD. Training will be available at Flight Safety’s Helicopter Learning Center of Excellence in Lafayette, Louisiana, USA. $795 will go to two Whirly Girls who wish to improve their knowledge in how to maximize the benefits of Garmin equipment capabilities and increase their confidence in the use and integration of Garmin equipment as part of their flight operations. Each course is valued at $795. Location of the Garmin course is dependent on the course date attended by each recipient. The Scholarship of $2,000 is a five day, 40-hour crew resource management instructor (CRMI) course, sponsored by Oregon Aero’s Randy Mains, Chief CRM/AMRM Safety Instructor, that will be provided to a deserving Whirly-Girl. The CRMI course and will take place on Vancouver Island in January of each year. It follows the recommendations of the FAA, Transport Canada, EU-OPS, JAR ICAO, EASA UK CAA, and CAMTS and will assist the recipient in becoming a CRM Instructor within her organization. Preferred applicants will have a CFI and have had some exposure to CRM that is, have taken a class. Valued at $3,000, provides a Whirly-Girl currently flying Robinsons the opportunity to attend the R22/R44 Safety Course and build either R22 or R44 time. RHC provides this 3.5-day course in Torrance, CA, USA, which includes an hour of flight with a safety instructor and sponsors an additional 4 hours of either R22 or R44 flight time (5 total hours). The course includes 3.5 days of classroom instruction in the following subject areas: accident review, causes of fatal accidents, awareness training, SFAR 73, and Pilot’s Operating Handbook (POH) review. The course is open to any rated helicopter pilot who has at least three hours in the R22 or R44 helicopter, one hour of which was flown within 30 days prior to attending the course. $4,500 provides a Whirly Girl currently flying Robinsons the opportunity to attend the R66 Safety Course and build R66 time. RHC provides this 3.5-day course in Torrance, CA, USA, which includes an hour of flight with a safety instructor and sponsors an additional four hours of R66 flight time (5 hours total R66 flight time). The course includes 3.5 days of classroom instruction in the following subject areas: accident review, causes of fatal accidents, awareness training, SFAR 73, Pilot’s Operating Handbook (POH) review, R66 systems, and the Rolls Royce engine. The course is open to any rated helicopter pilot who has at least three hours in any type of Robinson helicopter model, one hour of which was flown within 30 days prior to attending the course. $1,400 will go to two deserving Whirly-Girls to learn the knowledge and skills to react in an aircraft-ditching emergency, care for themselves in a sea survival situation, and to participate to the maximum extent in their rescue. These two scholarships, each valued at $1,400, are provided by Survival Systems USA and the pilots taking this course should have at least a Private Pilot Helicopter certificate and are required to have no physical limitations that would prevent them from participating in strenuous physical training. Training will take place at Survival Systems USA in Groton, Connecticut, USA. $11,000 is fully sponsored by Edward Thurn and Ellen Herr who kindly wish to assist the Whirly Girls in their mission of advancing women in helicopter aviation. This scholarship provides $11,000 to any Whirly-Girl to be applied toward upgrading her current helicopter rating. It may be applied toward Commercial, Instrument, Flight Instructor, Airline Transport Pilot (ATP), Night Vision Goggle (NVG) or Turbine Transition Training to advance a candidate’s career. Applicants must specify how the money will be used to advance the applicant’s career.